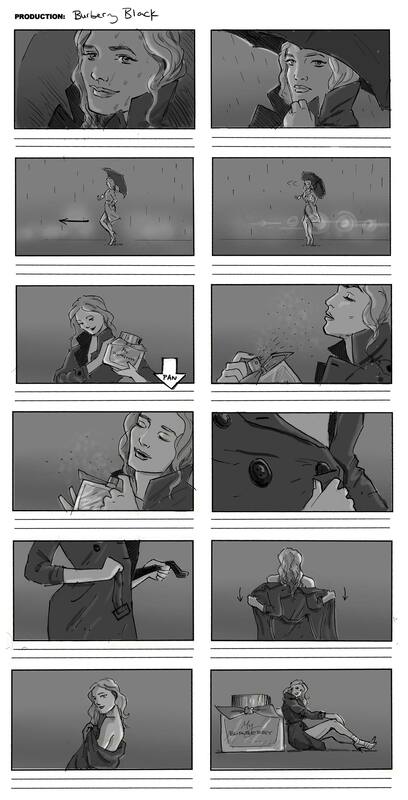 Storyboard for the new My Burberry Black fragrance, shot by Mario Testino. You can see the ad here. Obviously more than a little thrilled to work on one of his ads.